MIAMI — Hy-Vee’s Randy Edeker, Coca-Cola Co.’s Muhtar Kent, Heinen’s Grocery Stores’s Tom Heinen and IGA Inc.’s Mark Batenic were among the executives recognized Saturday when the Food Marketing Institute (FMI) gave out its leadership awards. The 2019 award recipients were honored for trading partner excellence, innovative business practices, service and statesmanship, according to FMI, which presented the awards at its Midwinter Executive Conference here. 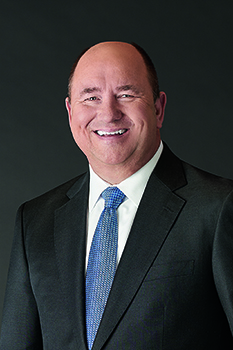 Randy Edeker, chairman, president and CEO at Hy-Vee Inc., was honored with the Sidney R. Rabb Award, which is given for excellence in serving the consumer, the community and the industry. As a long-time industry leader and chief executive of Stop & Shop Supermarket Co., Rabb was a role model for statesmanship and community service, according to FMI, which gave out its first Rabb award in 1977. Edeker too is a champion of the shopper, and in presenting him with the award FMI noted that he literally grew up in the supermarket business. 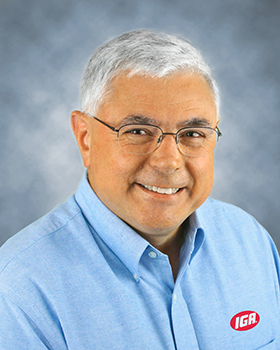 Edeker has spent 38 years at Hy-Vee and has served as the company’s president since 2009. 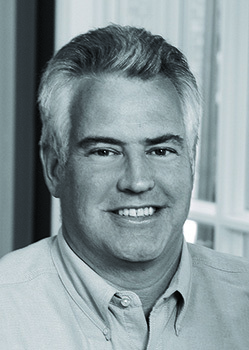 “There’s an old saying that ‘they don’t care how much you know until they know how much you care’; it’s easy to preach this and harder to always live out,” said Edeker, who was recognized for his business sense as well as for his support of local communities and the collaborative spirit he brings to vendor/partner relations. Honored with this year’s William H. Albers Award were two executives with the Coca-Cola Co.: chairman Muhtar Kent and recently retired vice president of retain industry affairs Ern Sherman. The Albers award is given for excellence in trading partner relations and consumer and community service, according to FMI, which noted that the award is named for a supermarket pioneer who served as the first chairman of the Super Market Institute, one of FMI’s predecessor associations. Kent believes that one of the Coca-Cola system’s longtime strengths has been the collaboration between the company and its franchise bottling partners, and he also sees personal relationships as critical to success. “Strengthening those partner relationships for long-term vibrancy has always been one of my highest priorities.” Kent said. Sherman, whose career included decades at Coca-Cola and decades as a Coca-Cola bottler. was recognized for his role overseeing the relationship with the primary industry associations and the work of the two North America Coca-Cola Retailing Research Councils. He served as lead liaison with FMI via its signature events, conventions and promoting Coca-Cola’s role in supporting future industry leaders. This year’s Robert B. Wegman Award, named for the founder of Wegmans Food Markets, was given to Tom Heinen, co-president of Heinen’s Grocery Stores. FMI said the award celebrates food retailers or wholesalers that create exceptional retail innovations. Heinen, began his career by pioneering the company’s in-store bakery program in 1978, which developed into a broader service deli program in all Heinen’s stores. More recently Heinen (and his co-president brother Jeff) were pioneers in leveraging customer and business data in new ways to retool the way their 90-year-old company did business, in keeping with Heinen’s tradition of offering a unique customer experience. Posthumously honored with this year’s Glen P. Woodard Jr. Award was Gregory Calhoun, who owned and operated Calhoun Foods and later Calhoun Enterprises. Calhoun got into the food retail business in the early 1980s by securing a loan and buying the supermarket where he once bagged groceries. Calhoun was actively engaged with the university, the local neighborhoods and state politics. He was a jobs creator and the first African American to own a grocery store in the south, FMI noted. FMI’s Herbert Hoover Award was established in 1961 in honor of the 31st president of the United States, in recognition of the humanitarian campaigns he led while working with the food industry. This year’s Hoover award went to IGA Inc. chairman Mark Batenic. In the recent past, IGA supported the Wounded Warriors through sales of private brand goods. Recently the company forged a relationship with Partnership for Drug Free Kids, the first IGA Cares initiative. Under Batenic’s leadership, IGA committed to raising both critical funds and awareness to help parents and families and help end the nation’s opioid epidemic. Finally, Congressman Jim McGovern (D-MA) was honored with this year’s Esther Peterson Award for consumer service, which is named for the special assistant for consumer affairs under U.S. Presidents Johnson and Carter, who later pioneered the role for the food industry as vice president for consumer affairs at Giant Food Inc.
FMI recognized McGovern for being a strong voice to issues related to food insecurity, and for being a champion of the Supplemental Nutrition Assistance Program, or SNAP. McGovern has long supported Democrats in their efforts to defend SNAP from cuts and to advocate for efficiencies in the SNAP program.